Spain is located in southwest Europe and occupies most of the Iberian Peninsula. The country’s territory encompasses the Canary Islands in the Atlantic, and the scenic Balearic Islands of Mallorca, Menorca, Formentera and Ibiza in the Mediterranean. Most of Spain’s mainland is situated along a high plateau with spectacular mountain ranges to the north of the country. Spain is one of the most visited countries in the world. Its tourist industry is the second largest among all nations, and brings in close to $55 billion in revenues for the country each year. Spain’s temperate climate and its rich collection of historic and cultural attractions have proved to be major tourist draws not just within Europe, but around the world as well. Spain has had its share of economic troubles over the past few years, and unemployment rates have remained stubbornly high despite efforts to improve it. Even so, the country has a relatively robust economy. Spain has the fifth largest economy by Gross Domestic Product in Europe, and the 15th largest by GDP in the world. The country enjoys a high standard of living and ranks ahead of other economically developed nations, such as the United Kingdom and France, for overall quality of life. Spain’s economy is driven by a handful of industries, including textiles, metals, chemicals and food and beverages. The country is also a major producer of olives, wine grapes, fish, grain and vegetables. Spain is a mid-size country with a population of around 45 million people. Spain’s capital city of Madrid is also its most populated urban center. Other major cities include Barcelona, Valencia and Servilla. Thousand of people travel between the U.S and Spain each year as tourists, on work or study, or to settle permanently in a new place. Spain international shipping companies serve the car transportation needs of such travelers by offering international shipping to Spain. Most companies give customers a choice between container shipping or Roll on Roll off transportation for shipping a car from Spain to the United States, or for shipping a car to Spain from the U.S. With the first option, the car is transported in a 20-feet or 40-feet container along with any other household goods and personal items that might fit in container. The cost for shipping to Spain in a container depends on factors like the size of the container and the port of origin and destination. 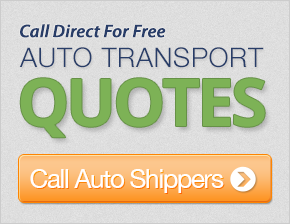 Shipping companies charge between $1,500 and $2,000 to ship a car from the U.S. East Coast to any major port in Spain. With the RoRo shipping option, the car will be transported on board a special purpose vessel that is designed specifically to transport cars and other wheeled vehicles without the use of containers. The cost for such shipping usually is a few hundred dollars cheaper than container shipping. The average transit time to transport a car between Spain and the U.S is between a week and 10 days.